In the Spring of 1982, soon after I completed my doctorate of philosophy from the University of Allahabad in India, my Gurudeva, Sri Swami Rama of the Himalayas, began to say, "You should do another Ph. D. at one of the Western universities." At first I thought that he was joking. Later his tone of voice changed-it was no longer are mark but an order. One day he called me and said, "You are too obstinate. Why are you not listening to me?" I asked his why another Ph. D. was necessary. With a smile he said, "Because you have not gone through enough pain. It you do not do your Ph. D. here in America, I will send you to Europe and I will not see you until you have completed your Ph. D. there." Without further argument I joined the Asian Studies department of the University of Pennsylvania, and after completing the course work I began a dissertation on my favorite subject, Tantrism. In the process of writing the dissertation I was faced with a struggle between Eastern and Western approaches to research work. I was trained not to criticize previous masters and commentators, but instead to understand them with respect and faith. If their presentation did not make sense, I was trained to doubt my own ability to comprehend the subject and to make further attempts to study it by myself or with the help of learned teachers. I was taught to believe that a commentator represented the tradition of the scripture involved, and that whatever the commentator said was always in conformity with the original text. Since my first dissertation was written at an Indian university, these inherent tendencies did not become obstacles in obtaining my degree. At the University of Pennsylvania I had to reorient my attitude toward an academic undertaking. I began my research work under the supervision of Professor Wilhelm Halbfass, an unmatched scholar of Indian philosophy. His kindness and wisdom gave me the strength and clarity to cultivate an analytical mind. Professors Ludo Rocher and George Cardona not only opened the door to a comparative study of different branches of philosophy, but also helped me think in a Western way without dismantling my Indian way of thinking. Professor Alexis Sanderson at All Souls' College, oxford, taught me how to be precise and how to build a thesis on the basis of pure fact, and after spending some time with him I realized I did not need to abandon my faith in the practices described in the scriptures in order to be a scholar. Although I did not enjoy the hairsplitting logic and nitty-gritty details of academic work, I developed great respect for scholars when I realized they are conduits for transmitting knowledge without distortion or biased interpretation. This present work, Sakti: the Power in Tantra, is a direct derivative of my dissertation, The Concept of Sakti in Laksmidhara's Commentary on the Saundaryalahari in Relation to Abhinavagupta's Tantraloka. For it existence I am greatly indebted to my professors at the University of Pennsylvania. 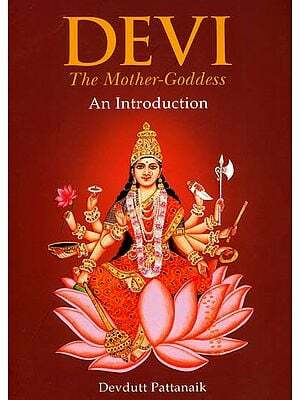 Since early childhood I have been drawn to Tantric studies, especially to the role of Sakti, the divine Mother, in the attainment of inner and outer prosperity. My doctoral work at the University of Allahabad and at the University of Pennsylvania gave me an opportunity to study the vast range of Tantric Literature in both the traditional and the Western analytical Styles. These academic studies, coupled with experiential knowledge gained from the Tantric adepts, enabled me to realized that the secret of success, be it worldly or spiritual, lies in the unfoldment of sakti, the power that lies dormant in the core of our being. All spiritual traditions, particularly Tantra, aim at awakening sakti. Without having an in-depth knowledge of the role of sakti in spiritual unfoldment, the study and practice of any spiritual tradition is like farming barren ground. That is why I undertook this endeavor, and that is why I am presenting the findings to serious students of Tantra and Kundalini yoga. The liberal use of Sanskrit terms in this text may make it difficult reading for those who are not familiar with the language, but there is no other way to convey the meaning. 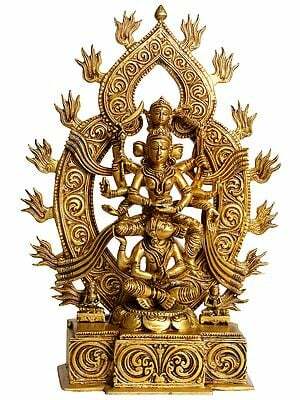 I am confident that this work will brighten the horizon of tantric philosophy and practice and dismantle a number of misunderstandings surrounding Tantra, the worship of Sakti, and the yogic practices related to Kundalini and the cakras. After reading Sakti: The Power in Tantra, a student of Tantra will understand that Tantric wisdom and practices are far more meaningful and profound than is commonly understood today. 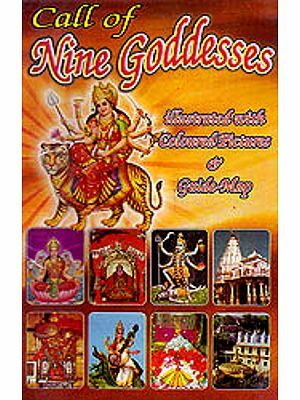 This text clarifies how tantric philosophy and practice unify the concept of Yantra, Mandala, mantra, cakra, Kundalini, and deities, as well as ritualistic and meditative practices. It explains the relationships between different branches of Tantra and tackles the controversial issues concerning the right- and left-handed tantric practice. 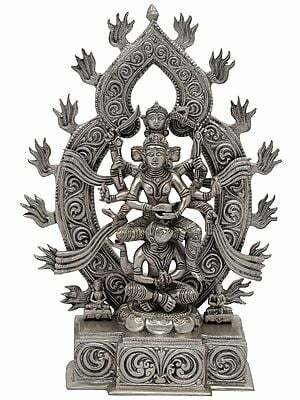 But even though the subject matter compressed into this work focuses mainly on the concept of sakti, it opens the door on a vast range of Tantric philosophy and practices. Each time I read the manuscript I feel inspired to undertake further Tantric studies, especially those of a nonacademic nature. I hope all students of Tantra will be similarly inspired. As Spiritual Head of the Himalayan International Institute, Pandit Rajmani Tigunait, Ph. D., is the successor of Swami Rama of the Himalayas. A lifelong practitioner of meditation and a Sanskrit scholar, he has studied with various adepts and scholars in the time-honoured guru/disciple Lineage. He holds a doctorate in Sanskrit from the University of Allahabad in India, and a doctorate in Philosophy from the University of Pennsylvania. In addition to having written ten books, Pandit Tigunait lectures throughout the world and is a regular contributor to Yoga international magazine. 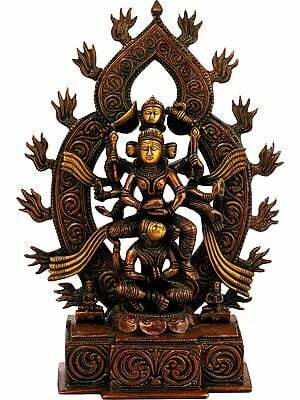 "At the core of Tantra lies the idea of divine power (sakti), which manifests in various ways, including the mysterious Kundalini-sakti. This monograph is a thorough and much-needed analysis of the concept of "divine power" on the basis of Laksmidhara's sophisticated Sanskrit commentary on the Saundarya-Labari, a key scripture of the great Srividya tradition. Pandit Rajmani brings to this task a penetrating intelligence, embracing scholarship, and practical experience in the Srividya tradition, which is a very important branch of Tantra that is only now becoming accessible to Western students. 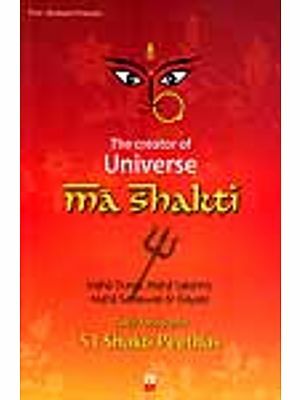 Both scholars and serious students of Tantra, Yoga, and the history of religion will find this book of immense value." "A serious and scholarly work concerning an important but little understood aspect of the teachings of India. I am impressed with the extent of Pandit Tigunait's research. His book will make it easier for people to see Tantra as a path to God."